Scoliosis is a condition that typically is associated with an abnormal curvature of the spine. Their are some factors that can contribute to a scoliosis curve however, most are considered idiopathic. If this condition is diagnosed early enough in adolescents the prognosis is typically very favorable. Ideally 13-15 years of age is ideal for treatment this is because the bones of the spine are still cartilaginous and are more malleable. Click to learn more about the types and stages of scoliosis and how we can help. Car Accidents can be very burdensome for both parties involved. In many cases the accident can cause permanent damage to the musculoskeletal system if left untreated. This is why it is very important to document the accident and what injuries that may have been endured during the accident. At our offices we have some of the most cutting edge diagnosis equipment including Digital low radiation xrays and MSK ultrasound to help better document the extent of the injury. We also provide many treatment options to aid in providing you with the best and most effective treatment options available. The market is saturated making claims that their product will help ease the pain and discomfort in your feet. Their are many different choices currently in the market and the vast majority at most will only give relief temporarily. At our office we find that the best orthotic is one that is custom made to the foot anatomy of the individual. We use a method that will give support and aid the foot arch integrity. This will help in both treating the underlying foot condition while you walk but also decrease the pain associated with many foot and lower extremity related problems. Learn more HERE. 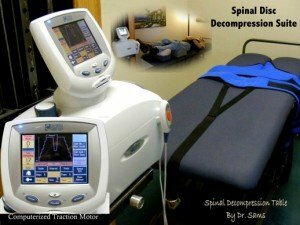 Please refer to our spinal care exercises page for more information.